Where we share our insights about all things web design, development, and marketing. What better way to show the quality of your work then by other customers saying it themselves? Using customer testimonials can help to build credibility for your business. Allowing new customers to see what previous people have said and felt about your products or services gives them a better sense of your quality of work. It also creates a more personal relationship between you and your customers. You can do this by dedicating a full page to testimonials on your website. This way, people can go directly to a list of testimonials or reviews to see what other people are saying about your company. You can also include a testimonial box with rotating testimonials on one or several of your pages. In addition, if you have a website that sells products, you could have one or multiple testimonials displayed by each product specifically about that product. How do you get testimonials from customers? You can do this a number of ways. You could ask them for a testimonial at the time of purchasing your product or service. You could send them a follow up review card or email thanking them for their business and asking for feedback. You could also include a testimonial form directly on your website so people can submit reviews or feedback at any time. Regardless of how you get the testimonials, you will surely run into the negative comment from time to time. While you may not want to display this comment on your website, you can still use this to your advantage to better your customer service. Take the opportunity to respond to their comment and attempt to better the relationship with that customer and rectify the situation. In the end, you may resolve the issue and they may provide you with a positive testimonial next time. Showing potential customers that other customers are happy with your products or services will help to make your business more credible to those viewers. They will trust other individuals who have dealt with your company. Have you noticed the changes in Google Places? We told you before to make sure you get your Google Places listing (Google Places info), to help your business show up higher in the search listings for local search. We told you to make sure you had control of your Google + Business Page. We hope you took note. 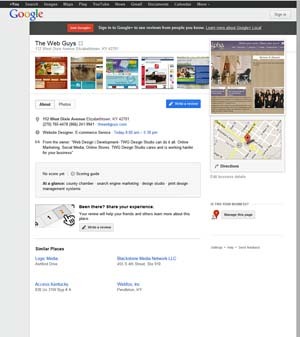 Google has done away with the regular Google Places pages and has fully integrated them with Google+ through Google Local. 1. The appearance of the listing is different. 2. Google has replaced its star ratings with Zagat reviews rating scale. 3. The integration of Google + circles, reviews, and ratings. So, why don’t we take a minute and look into a few of these and talk about what they mean for your business. The appearance of the listing is different. If you take a look at the screenshots below, you will see the first shows a search done without being signed into Google +. The first thing you will notice is the big red button saying Join Google+. It still shows the basic info on the local listing: logo, address & contact info, what type of business, about the business, the Zagat score, and the reviews. You even have a link for directions, and a quick link to write a review. So pretty basic info and exactly what you would expect on a local listing. Once you log in the differences you see are the reasons behind the change from the plain old Google Places listing to the new enhanced Google+ Local. These changes are directed at the user so they can “share” more information with their circles. You have your basic Google + navigation along the left hand side- Home, Profile, Explore, Hangouts, Photos, Circles, Local, Games and more. I can still see the logo, address, type of business, about the business, the Zagat score, the reviews, a link to write a review, and directions. But wait… I have more options. I can now +1 the page, share the page, and upload a public photo. That is right, as the user I have more control on how I can share information and my interaction with your business. So why does it matter? Did you know that I can also search for restaurants in Google + and see a full list of where my circle of friends like to eat and why? Well, I don’t know about you but I like to go where my friends go. 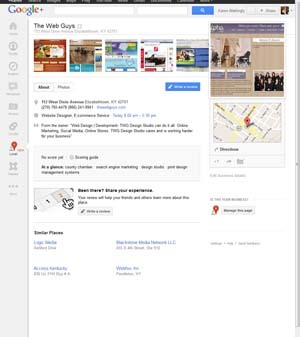 Plus, and here is the biggie- Google + local pages will be INDEXED!!! Meaning there is a lot more potential for SEO. So in the end, if you have been trying to hold out and not get into the “social” aspect of Facebook, Twitter, Google+ and all other social networking sites out and about, Google is officially forcing your hand. That’s right; even if you don’t have a Google Places or Google + page it will be created automatically for you. If you have been using Google + for your business you will be greatly rewarded, so don’t wait – get started now or call us for more info on how to get started. You may not be a search engine optimization expert, but it doesn’t hurt to learn the lingo so you are more informed about what can be done with your website to help it rank on search engines. Here are a few of the most important terms to learn. And don’t worry, if you don’t understand them, just ask us and we will help. Or if you are interested in boosting your website’s SEO after learning more about it, give us a call – we can help you with that too. 301 Redirect – permanent redirect of one domain to another domain, or one page to another page. This comes in handy if you have multiple domains or if you need to change page names. Adwords – a Google based program that helps you to target specific keywords or phrases in paid per click advertising. Algorithm – the formula used by search engines to compile search data based on the users search term. Alt text – alternate text used to describe images for blind viewers or when images cannot be viewed. Analytics – Google based program that tracks traffic and search data for your website. Anchor text – the text that is used within a link tag to describe that link. Bounce rate - the percentage of visitors who leave a site without viewing any page other than the landing page. Heading – the title of the page in the content area of the site. 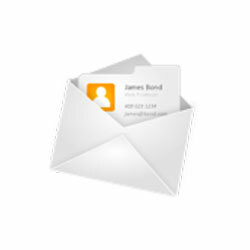 This usually has an H1 tag which is read with more weight by search engines. There can be up to 6 different heading types on a page. Index – means that your site has been found by search engines and added to their list of websites that can show up in search results. Keyword or key phrase – the word or phrase that is the focus of your content on that page. It is also the word or phrase that you will most likely rank for in search engines. Keyword stuffing – overusing keywords or phrases in content in attempt to skew the keyword density of a page. Meta description – the meta tag that describes the content of each page. Meta keyword – the meta tag that lists the key words and phrases of each page. 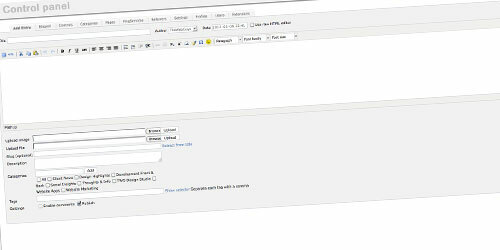 Meta tags – HTML tags that describe the title, keywords, and description of each page to search engines. Meta title – the meta tag that describes the title of each page. This shows up in the tab of most browsers too. Nofollow – tells a search engine not to follow a link to a certain page, index that page, or pass page rank to that page. Organic rank – your website’s natural rank in Google. These results show up in the center area of search results. Paid results will generally show up on the right or above organic results. Search Engine - an online tool for users to search for and find websites by enter a search term. Search Engine Optimization – optimizing a website for search engines so that users’ search queries will match the content of that site. Search Engine Marketing – encompasses the overall marketing strategy to search engines. Site map - a page that lists all pages of a website with links. Stop word – a word that is so commonly used, it is ignored by search engines when finding results (such as prepositions and conjunctions). White hat – good SEO techniques that follow standard search engine guidelines. Are you blogging for your small business? If you have already started a business blog, you are on the right track, but how to you use it to its maximum potential? Follow these tips for a more successful business blog and you could help to improve your overall brand image and customer connection. You want to make it easy for your readers to share your blog articles with others. If they read one of your blog posts and are impressed by it enough to share with their friends, you should give them the option to immediately share it on the most popular social networks as well as by email. You should also share your own posts on your business social networking pages to let people know there is a new article to read. You are more likely to get readers and followers that way too. Topic is key. People want something interesting to read. It is important to make sure that your articles have interesting and informative content that will catch the readers’ attention, while sticking to the focus of your business blog. You want your articles to be relevant to your company, not about some random thing you saw on the internet that you liked. It is important to keep a consistent string throughout your posts that tie back to the reason you are writing blog articles for your business. It is also good to keep your tone consistent too. You may have multiple people writing articles for your blog, but make sure that they are written in similar form so that they come off consistent to readers. We can’t say this enough. Keywords should be in everything that you write for your business or website. This will be a major boost to your search engine rankings if you are using the right keywords. Posting blog articles to your website keeps your content updated, and search engines like new content. If you are unsure of what keywords to use, do some research first and come up with a list of general words to include in your articles. These simple tips will help get you on the right track with your business blog. The more you do it, the more you will get the hang of it, and before you know it, you will be blogging like crazy.